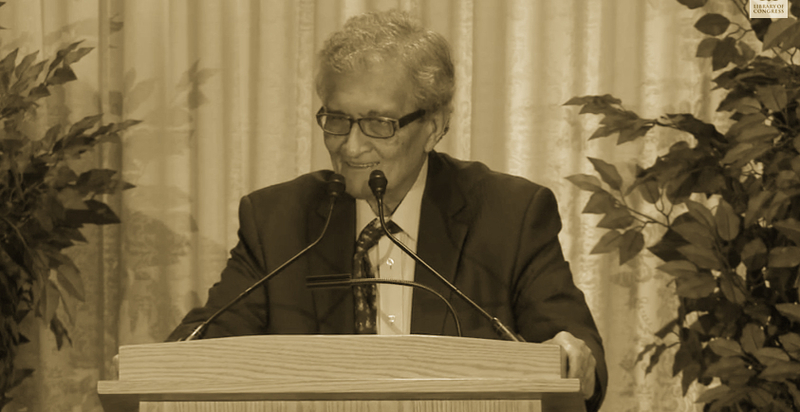 At the 2013 Kellogg Biennial Lecture on Jurisprudence, Dr. Amartya Sen spoke on the importance of reasoned disagreement in the creation of shared conception(s) of justice. He noted that to understand the role of reasoned disagreement, it is important in fact to understand that reasoned agreement in theories of justice, as notably outlined by Lord Hewart in 1923 and “legendary” Harvard Professor John Rawls and his work in Theories of Justice, seek not mere agreement, neither instrumental nor functional, but the fostering of the conditions of reasoning on societal affairs. Dr. Sen argues that this very fostering requires us “to encourage and facilitate rather than dissuade or stifle reasoned disagreement” because of what he calls the non-dichotomous distinctions between facts and values in the “implicit contingency” of “factual valuations” that play in our judgments and conclusions. In the first part of the lecture, Dr. Sen surveys, very briefly, the connections between the “soundness of a judgment and its ability to survive public scrutiny” in Professor Rawls works in thinking about the objectivity of justice. This part also contains, equally brief, a few responses and a survey of various meta-ethical and metaphysical questions involved in the question of reasoning. In the second part, Dr. Sen questions whether the role of impartiality in Professor Rawls Theory of Justice really withers away disagreement between reasonable agents, something which Rawls may have questioned himself, aside from those arguments that could on grounds of reasoning eliminate some disagreement. Dr. Sen questions whether the demands of fairness identified in the Rawlsian “original position”, i.e., the impartiality involved when choosing from the “veil of ignorance”, truly eliminates not only disagreement but lasting disagreement. While he concedes that the Rawlsian position however does not seek only agreement but the conditions that foster reasoning, he argues that ensuring the conditions that foster a Kantian type of freedom in reasoning require the conditions that “encourage and facilitate rather than dissuade or stifle reasoned disagreement” because what he calls the “implicit contingency” of “factual valuations” that exists even between impartial and reasonable agents. In the third part of the lecture, Dr. Sen proceeds to demonstrate what he calls the “implicit contingency” in the policies of neoliberalism in the European financial restructuring that occurred in the post-2008 recession. In the fourth final part, Dr. Sen argues that as it may at first glance seem problematic that we cannot seem to escape disagreement even in situations of impartiality, it rather implies that the “reasoning process” is “not something which can end at any point of time”. While conditions of the objectivity of reason are public, they can also be contingent and factually based on wrong assumptions, even those can be characterized as impartial. This does further not deny that conditions of objectivity can never be attained over time, just as much as conditions of objectivity can ever be forever maintained.